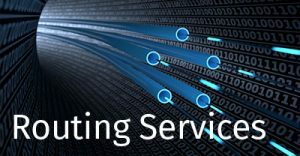 For a low set-up fee, Softzoll offers interested companies a classic ASP or outsourcing version with extensive features. A dedicated EDI account is created for the user on a central EDI server in our Berlin data processing center. The deployed instance offers all the advantages of our edibus core technological component. You can migrate trouble-free from the data processing center to your own in-house edibus system or your own EDI system in the data processing center at any time. A communication path is set up once to connect your ERP interface to the central EDI system in Berlin. On request, we can switch to this delivery channel via VPN tunnel. Our experienced Berlin service desk then implements the partner-specific communication paths and interchange formats. ERP interface data in both directions is transmitted by a freely selectable communication path (e-mail, FTP/sFTP, AS2, OFTP2, HTTPS, etc.) using the transmission software requested by the customer. 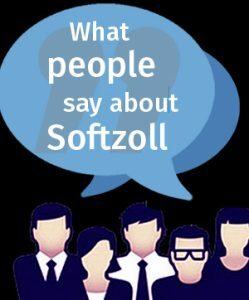 As an alternative, we provide a free client—the Softzoll Communicator—which automatically takes care of data interchange with the Berlin data processing center. This client provides a series of features that ensure secure document interchange transactions. When uploading or downloading data to and from the appropriate server in Berlin, the client conveys the exact file size over an FTP-based special protocol in each transmission (Checksum). Only when the complete upload or download is concluded and the complete consistency of both files has been verified, does the client delete the equivalent file on the server or on the local system. In this way, the greatest possible transaction security is provided: in the event of a break in transmission, the file transmission is immediately repeated automatically. To do this, the client has a heartbeat function at its disposal that is monitored by the corresponding server. If there is no notification of regular operational capability, an error message is automatically generated and sent to our support team, which can then react in an appropriate way. The Softzoll Communicator also supports the sFTP, AS2, and OFTP2 transfer protocols as well as FTP. On the basis of these protocols, the Communicator is able not only to guarantee the connection to our Berlin data processing center over any desired communication path, but can also be used for direct data interchange with additional external partners. Softzoll provides a web-based transaction monitor for tracking and monitoring of all transactions carried out by the data processing center. The data processing center mirrors the selected data sets (original EDI file, corresponding ERP file, communication details, and if necessarythe EDI document in readable form as a PDF) for about 30 days in the interface of the transaction monitor. Then all relevant documents are automatically transferred to the internal archive of the data processing center and archived for a period of years without any surcharge. If needed, specially configured archive workflows are available to populate external DMS or archive systems. 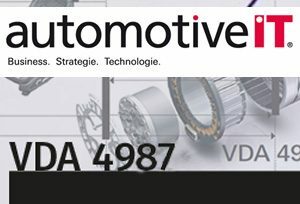 These prepare all relevant data sets in a way specifically adapted to each manufacturer and provide them proactively, or at freely definable intervals, as downloads through the Berlin data processing center for integration in a global archiving strategy. Transaction packages: the user purchases a transaction package with the desired number of transactions. The price per transaction depends on the overall number included in the package; the larger the package, the cheaper each transaction. This option is particularly attractive for customers who are just entering the world of electronic data exchange, or customers who do not handle a large number of transactions. The number of used transactions is deducted each month from the package. Customers will be notified when the package is about to run out. They can then either purchase a new (possibly) auch größeres Paket erworben werden soll, oder ob möglicherweise der Wechsel auf eine monatliche Flatrate (s.u.) sinnvoll ist. Transaction packages do not have an expiry date. Monthly flat rate: customers handling more than 1,000 transactions per month are better served by the monthly flat rate. Monthly flat rates differ in price according to the number of transactions the customer wishes to include; here, the price per transaction is inversely related to the quantity as well. Customers may switch to a different monthly transaction bracket at any time. Softzoll provides you with secure ASP at the highest level. You get exactly the elements and services that represent the ideal electronic data interchange solution for you. is happy to answer your technical questions or resolve any issues you may be experiencing. You can reach us by telephone or e-mail.